In 2013 I was on the verge of leaving teaching, after only 4 years. I was disengaged for many reasons: politics, endless paperwork, leading PE and taking it as far as I could, and didn’t feel I was having an impact. A discussion with another teacher (my wife) reinvigorated my excitement and passion. Her school had just begun utilising iPad’s across their school. Countless questions and discussions followed before I marched into my old head’s office and demanded I lead computing, as well as a class set of iPads. 12 months later I moved authorities and have never looked back. The experience saved my career, reinvigorated my passion for teaching, and made me see that impact is everywhere (which was the reason I wanted to teach; to make a difference) It has taken me to places I never imagined possible and huge thanks must go to Laura Dickinson and her enthusiasm and drive. As the plane touched the tarmac at London Heathrow, my stomach was overpowered with butterflies. Nerves and excitement. As I headed down the gangway to the airport, however, I started to panic a little. Ok, a lot. I worried that I wasn’t ready for this, I wasn’t sure what I’d have to offer. Would I be able to share anything? Would I have a story worth telling? I’d had pre-academy nerves the weekend before, but my mentor, Simon Pile, had allayed those fears in our group message by reminding us he’d seen all of our applications and stories. However, I was worried I might revert to distant years. As a child, throughout my entire education at Primary & Secondary School, I had suffered from a crippling stammer. I couldn’t speak in groups, I lost all confidence and I felt like I didn’t belong. If there was ever anyone who would become a teacher, it certainly wasn’t me. The chauffeur ride from the airport to the hotel didn’t dampen the fears; who was I? A rock star?! I managed to pull it together on the short journey to the venue. I checked in and went to dump my bags in the room. Luckily, on the way, I had seen someone I knew. I was beginning to calm. Registering, I met many people I had interacted with via Twitter, but never actually met. A surreal experience! Shyness overcame me as ADE’s of 2013 and 2015 helped me to check in. I looked on as they chatted happily, realising this was real. The first night I was quiet, just listening to others chat over dinner and beers, occasionally commenting. The people I sat with at that table in the evening sun welcomed me into the fold. 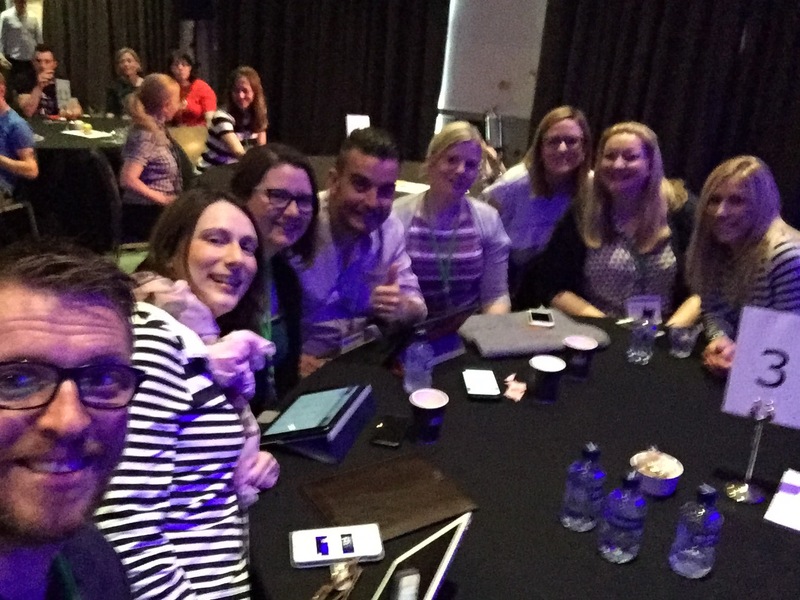 #ADEChat was another brilliant experience, everyone in the same room sparking tremendous ideas and threads. It was a small taste of what was to follow. I wasn’t entirely sure what the general sessions would hold and wondered why there were so many on the agenda over the next few days. 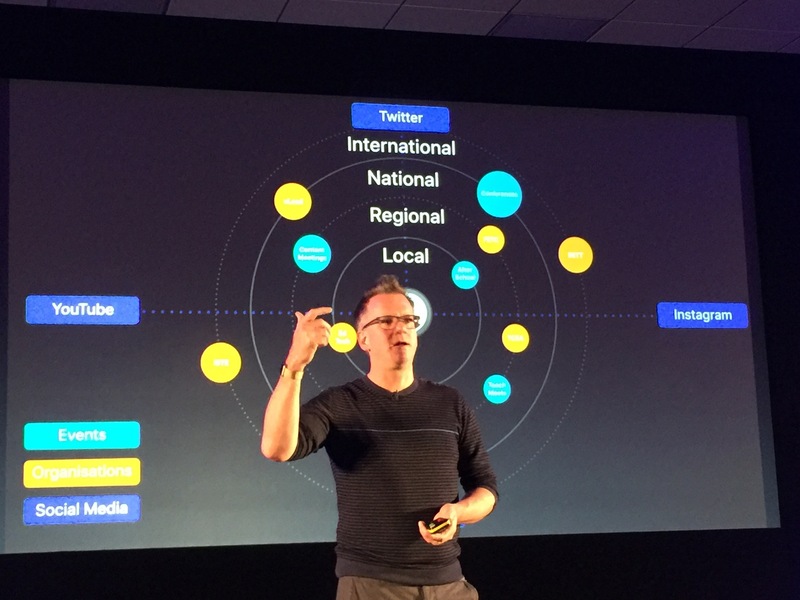 I have to say I quickly learned they were essential in many ways; key focal points about what being an ADE means, why and how we do things, connecting and networking. Peter Ford’s opening words immediately put me at ease. “You are all here on merit”. The introductions and standing up to look around the room put me at ease and made me feel like I belonged. We were all in the same boat. The first session, our ‘why?’ and then ‘6-word story’ was a phenomenal ice-breaker, but also grounded me and made me reflect on who I was, what I do, and the impact it has. 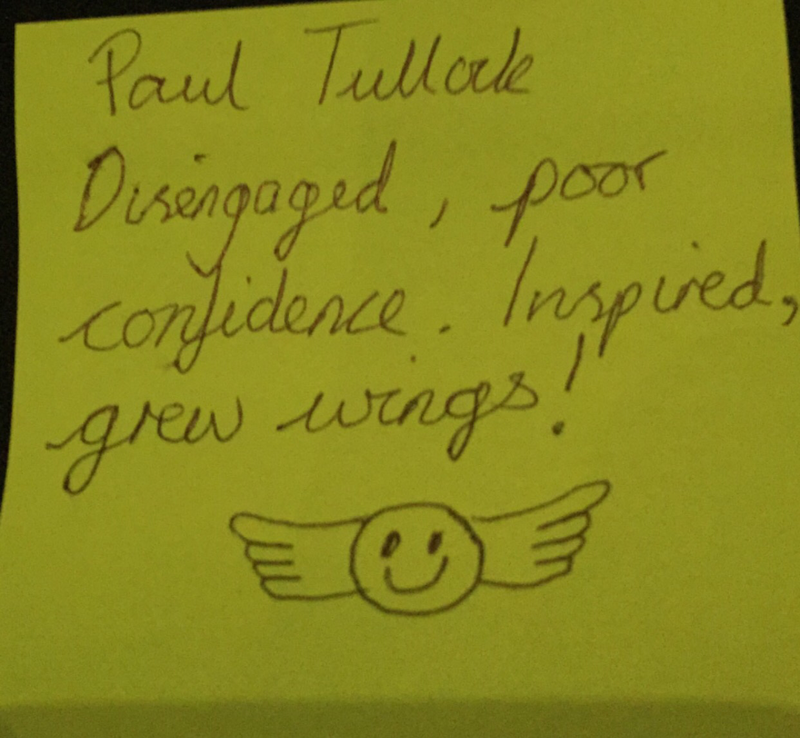 It was during these initial discussions that I was instantly struck by Paul Mayers and his enthusiasm, someone I was delighted to sit next to during a workshop later. I left the opening session motivated and with a feeling immense pride. Looking at how we encourage change and reflecting on what type of person we were was fascinating and gave me a different perspective on my approach. I always knew I was a speed swimmer and could give a million reasons why I am keen to try and develop, but I’d never really looked at it from the shark spotter or flagpole huggers perspective, which is something I will definitely be doing from now on in all I do. When the guest speaker was announced after lunch, Chase & Status’ Will Kennard, I again wondered where this would take us. A wonderful interview shed light on the amazing work of ELAM School in East London, but heralded three key messages: follow your heart, kids have passion but no training, have trust and perspective in creativity. All brilliant reminders that we can make a huge difference to learning if we believe and strive to make purposeful change. The big message for me though was: When the drive is gone, it’s time to go. Something that I’m not sure will ever leave me again, especially after this experience. The experience of listening to Jillian Edelstein and her amazing stories was inspirational. Looking things from a different perspective again, but something I need to definitely do more of across all of my life, not just my practice. ​And that was just showcase session one. Every story was brilliant. Seeing what takes place in schools around the globe was incredible. 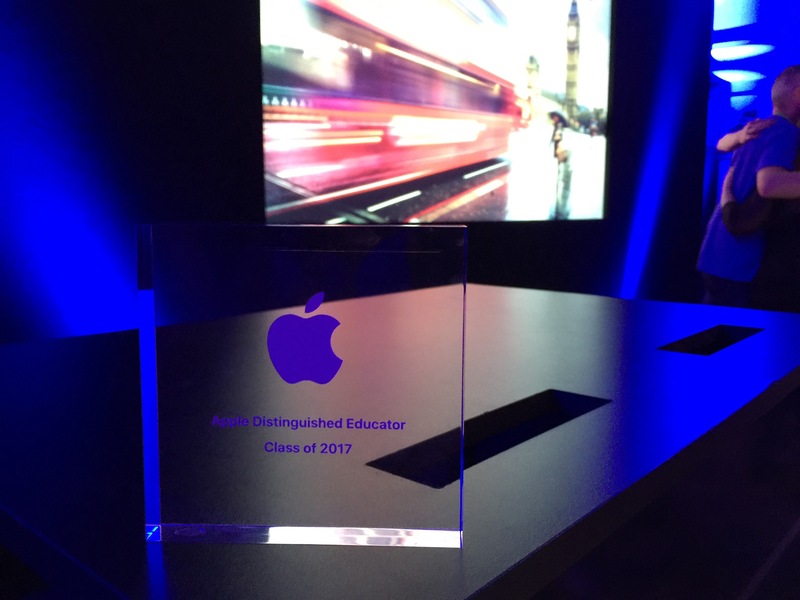 From escape rooms, how GarageBand is changing how music is taught, digital storytelling, the incredible hook that Amy Kingsley brings to her 5 and 6 year olds, to how Digital Directors have shaped and flipped learning. 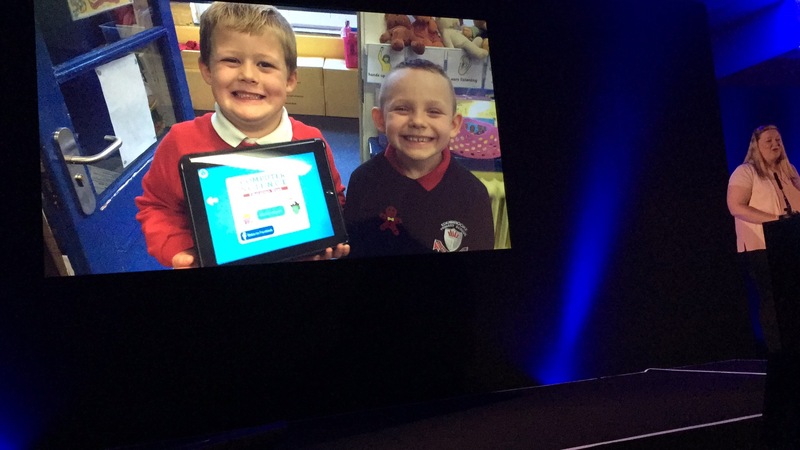 This then moved to how digital leaders have opened doors for not only teachers, but also given students a new lease of life; how iPads have allowed nursery children to lead the learning and give them a voice, to gamifying learning with keynote, to Sarah Sutherland-Booth showing how labels disappear when children are given a tool or a voice. Ruth Smith then shared something close to my heart, how SEND children have flourished and improved with a different outlook and approach. Following on from this, one of my favourite quotes came from the showcases, and really resonates with me and my class “Necessary for some, good for all”. This I will be sharing and implementing more back at school. Pamela Algie then brought the house down with the final showcase, an emotional journey about how she has broadened the horizons of her children and showed them the wider world. 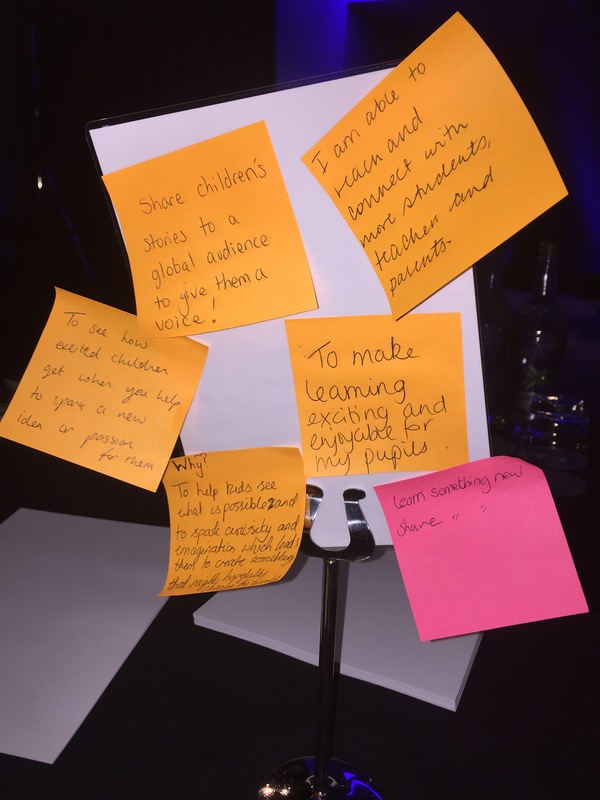 Watching the perceptions of those children change over time and develop real aspirations was a very emotional experience that caused my lip to tremble. This story really resonated with me as it was so close to my own story. My school is on the banks of the River Tyne, where shipyards and industry have disappeared, along with the hopes and aspirations of the families. Our journey has just begun, but this struck a real chord and made me see that my story was worth telling after all and did have value. I wished I had applied for the showcases and shared our story. The message the showcases gave me was that any story is worth telling. Stuart Hammersley and Catherine Mangan’s final showcase summed up the whole experience for me and showed what can be achieved when ADE’s work together. This is something I really want to engage in, and getting a whole group of ADE’s to visit schools is such a wonderful use of passion and knowledge, and I hope I can do or be part of this too. The ADE-meet was exactly the same with stunning stories about how real life experiences engage learners, broadening horizons outside of the Isle of Man, STEAM influenced by iPads, to a singing teacher (Simen Spurkland I wish you taught my children), culminating in what I can only describe as the greatest presentation I have ever seen by Ingvi Hrannar Ómarsson. I must admit, after the final name was pulled from the hat to present, I was devastated that I hadn’t been chosen. Next time, I will definitely apply for the showcases. I will amplify our story. The workshops were where I thought I would learn the most. I learned some fantastic skills, tips and ideas to improve what I already do. Choosing which of the three workshops to attend was a huge struggle before the Academy. I wanted to do all of them, so narrowing them down to three was like torture. I decided to do things I either had no or little experience in, or was desperate to find out more about. My first choice about Music started well, introducing GarageBand and some of the key features, an area I am desperate to improve on. It did get very technical and I became lost as I have no musical knowledge at all. I left with some new skills, but also a feeling of bewilderment. Chatting to others in the break made me think about my workshop choices and what I hoped to get out of them. I worried I may not understand or get much from them. However, Alan Rosenfelds workshop on presenting was stunning, so much so that I spent the rest of the day redesigning my presentation for the ADE-meet. later that night Another fantastic workshop opened the secrets to engaging learning resources via iBooks, something which I am very keen to get started with on our group project. The chat in between sessions and at the end of the days were phenomenal. It was here that I realised how much passion was bursting out of the academy after briefly talking to Marc Faulder and Joe Perkins. It was also refreshing to talk to other ADE’s such as Martin Willis, that shared the same values and approach to teaching and learning. I loved meeting new people and hearing their stories, listening to their passion shine through. Imran Bhikha gave me a passionate insight into computing and really motivated me to use a lot of his ideas. I developed a great group of friends over the Academy, but I wish my nerves hadn’t got the better of me and I had made more of the opportunity to really talk to people and connect, rather than being quiet and looking on. I especially wished I had taken the time to get to know the previous classes of ADE’s and find out more about their journeys and what they had got out of the whole ADE experience, as well as making more links to join great projects like Gimme5 and One Small Clip. The real game changer for me came with the group projects using Clips. I have used clips since its release, seeing the impact in my class as my students use it, but turning it on its head to share teaching ideas was truly exciting. It was here that excited me the most. 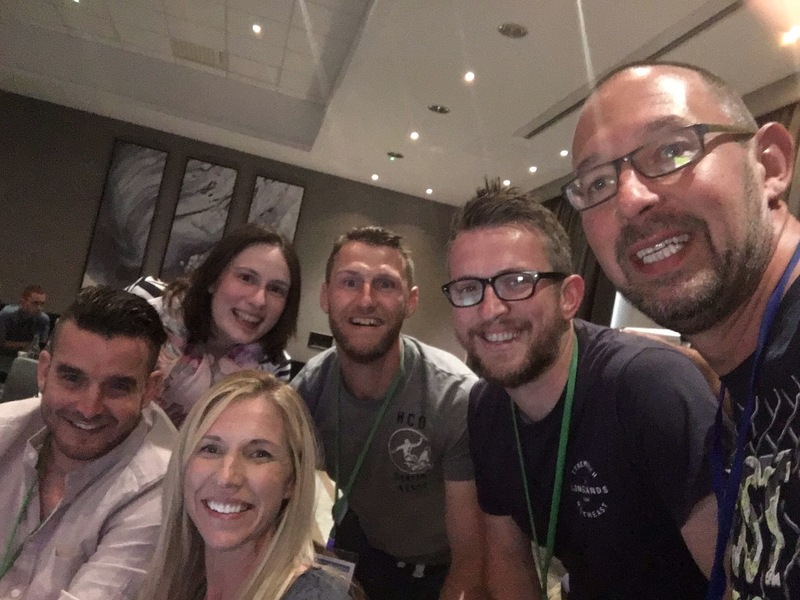 A fantastic group consisting of Alan Frame, Claire Jones, Lee Parkinson, Robbie Dunne and Ruth Smith got together and Tech Teach goals was born. The project quickly gathered momentum with the initial words from the opening session taking centre stage: Why? The aim of the project is to cover why use tech, how to use tech, and the benefits for both students and staff. 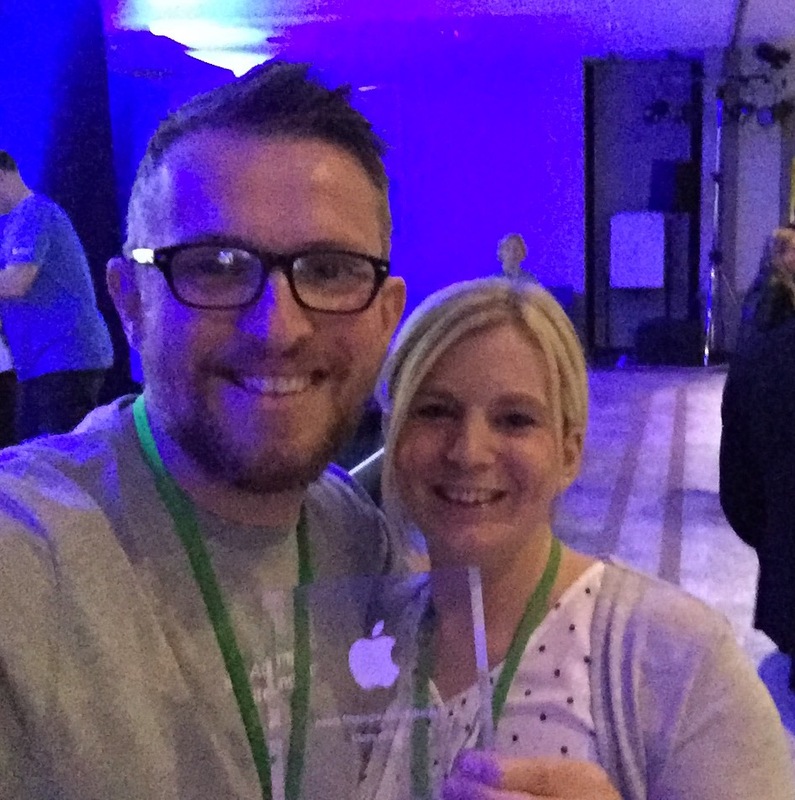 Our plans have developed a lot since that initial conversation and I am really looking forward to sharing tips and ideas via clips, blog, iTunes U and iBooks. The culmination of the Class of 2017 ‘graduating’ was probably one of the proudest moments of my life. Watching everyone get on stage for pictures, beaming with pride, showed how much being a part of ADE meant to everyone. It also brought home how I need to connect with people more than I actually did. This would be the one and only thing I would change about my Academy. experience. I wished I had the confidence to speak more openly with everyone, especially the Class of 2013 & 2015, and spend the time listening to their stories, as well as sharing my own. As we collected our plaques and headed for the coaches, I was devastated that Academy was over. As the plane set off down the runway and lifted into the sky, I welled up with pride, realising what I had just been, and am, part of. It was then that I realised it wasn’t over, it had only just begun. In the words of Pamela Algie I have definitely found my tribe. I finally feel like I belong. I’ve been asked countless times since becoming an ADE “what does it mean? Do you get anything?” I get to learn, grow, experiment, fail, achieve and redefine how learning takes place. I get access to the most passionate educators and innovators in the world. I get to make a difference. I get it. I really do. 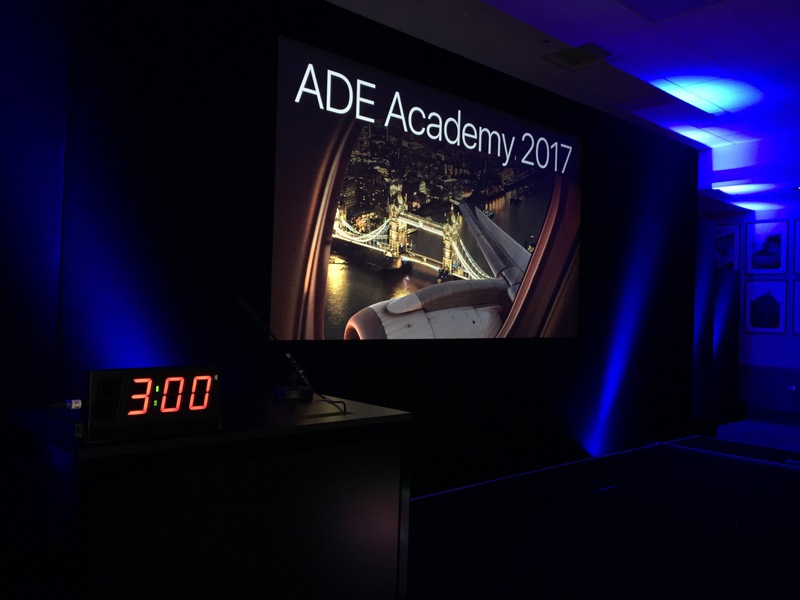 If you’re anything like me and want to constantly learn and develop, then being an ADE is the way forward. If you’re thinking of applying for the class of 2019, then my advice is do it. You won’t regret it.